The United Kingdom will suspend issuing fast-track visas for foreign investors spending millions of pounds in the UK in a crackdown on money laundering, the Home Office has said, according to The Guardian. According to the statement, the foreign ministry said it was pausing Tier 1 investor visas, dubbed “golden visas”, from midnight on Friday as it attempts to tackle serious organized crime. They will be reinstated once toughened measures have been put in place, ministers said. Tier 1 entrepreneur visas were introduced in 2008 to attract non-EU citizens to invest millions of pounds into the UK, with more than 1,000 granted in the year ending September 2018. 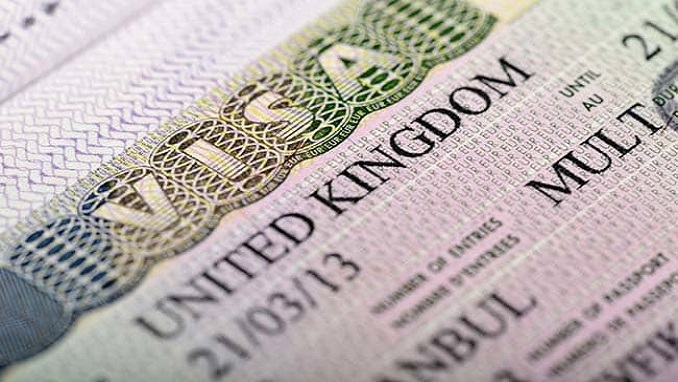 An investment of £2 million ($2.55 million) or more could secure a visa and indefinite leave to remain after five years. Russian oligarch Roman Abramovich, owner of Chelsea football club and friend of Russian President Vladimir Putin, withdrew his golden visa application earlier this year as relations between the two countries deteriorated over the Skripal controversy. Golden visa applicants could apply three months before arriving in the UK and would get a decision within three weeks, having paid a £1,623 ($2,067) fee. Those wanting an even speedier Tier 1 investor visa could pay £12,733 ($16,223). “The UK will always be open to legitimate and genuine investors who are committed to helping our economy and businesses grow. However, I have been clear that we will not tolerate people who do not play by the rules and seek to abuse the system,” said Immigration minister Caroline Nokes. Last month, Investigative group Bellingcat and Russian website suggested that Russian intelligence has infiltrated the computer infrastructure of a company that processes British visa applications. The journalists’ investigation aims to show how two suspected Russian military intelligence agents, who have been charged with poisoning a former Russian spy in the English city of Salisbury, may have obtained British visas.